Librarians understand that we’re not in the business of information – we’re in the business of people. Our jobs revolve around connecting people the resources, on providing them with service, on safeguarding their privacy (and as follows, their emotions), and just being a trustworthy and reliable figure for them. Of course, I’d be lying if I said I liked all my patrons just the same. Especially in the public domain, you get your fair share of patrons that just make you so completely and utterly exasperated that you just want to run into the back staff workroom and scream (silently, of course. Or not, depending on the soundproofing – I work in a older facility, so no obvious cries of frustration). Then, there are patrons that give you all the validation you need. I’m getting a little worked up just trying to write this first sentence. Throughout the handful of years I’ve been in my career, I’ve witnessed many occurrences that have made me reflect on what a privileged life I have lived thus far, and how lucky I am to continue to do so. During some of these situations, I have had to sit by helplessly and watch authorities handle a situation; luckily, during most of these events, I am able to provide the needed resources and service to others. 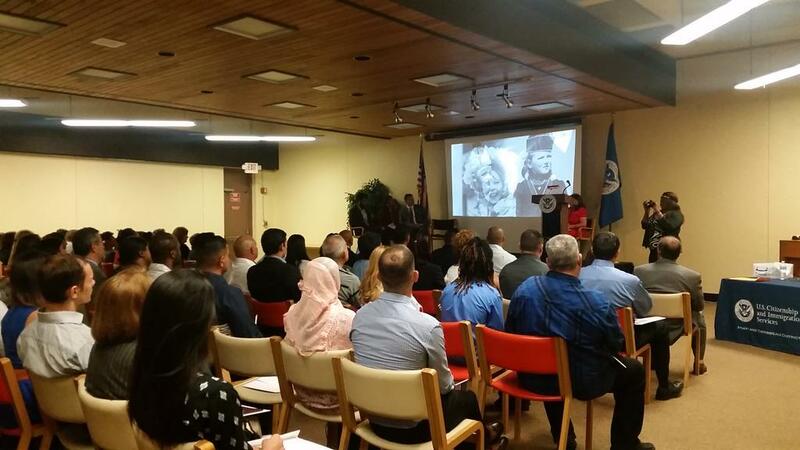 Yesterday, my library hosted the United States Citizenship and Immigration Services who performed an Independence Day themed Naturalization Ceremony to 50 new Americans. It was my first time being privy to a naturalization ceremony, and I even got the chance to welcome them to the library and (stutter) across the message of how fitting it is that such a democratic process would take place in this democratic institution. 50 new Americans were sworn in as citizens today. Its a little nationalist, and I sometimes hate feeling that way because I really don’t think we as Americans have the right to simply declare that we’re the “best country ever kthx God bless us always”, but these 50 individuals chose freely to become citizens and pursue opportunity. Seize the day, peeps. Seize the mother effin day. 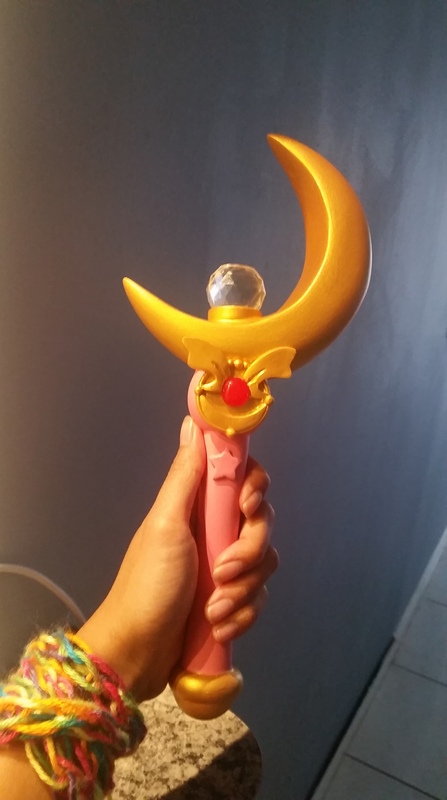 You know you’re a 90’s kid when a the Sailor Moon Moon Stick sends you into a fit of giddy, high pitched, happy yelps. Crafted by a vendor at Supercon 2015! There seems to be a big revival of 90’s anime and videogames, what with the upcoming remake of Final Fantasy 7 and even Sailor Moon Crystal. Makes the fan girl in me so incredibly giddy. Plus, learning and connecting with indie game developers at the con to bring resources for the kids at the library and at YOUmedia. The work never stops!… nor should it, really. See, even though I’m missing ALA 2015, I’m being productive! 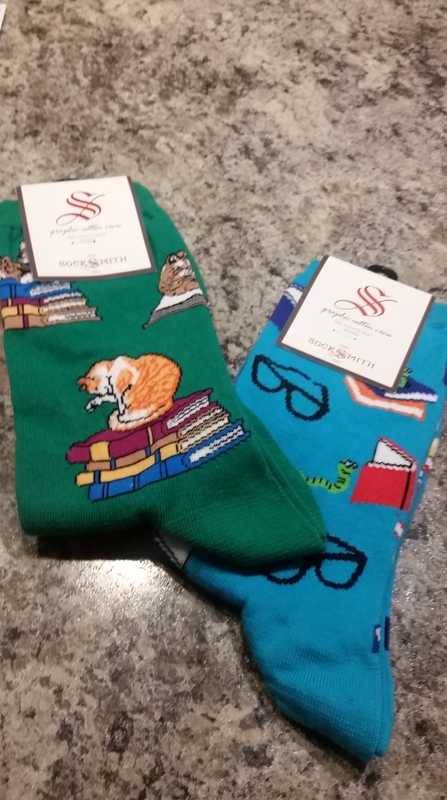 Plus, I even got socks only benefitting a librarian.